Conventional wisdom says you need two speakers to play music in stereo, but you don't always have ideal locations to do so with an outdoor listening space. Boston Acoustics designed the Voyager Metro II with dual 1" tweeters and a dual voice coil 6-1/2" woofer, so each speaker can play both halves of a stereo mix from a single location. It's a clever design choice that could be a game-changer for your next outdoor party. We recommend mounting this speaker horizontally to get maximum stereo separation. 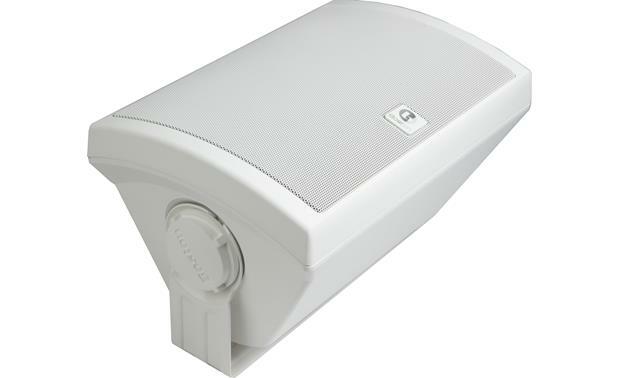 Outdoor Loudspeaker: The Boston Acoustic Voyager Metro II Speaker is a high performance outdoor loudspeaker engineered to stand up to weather and temperature extremes. 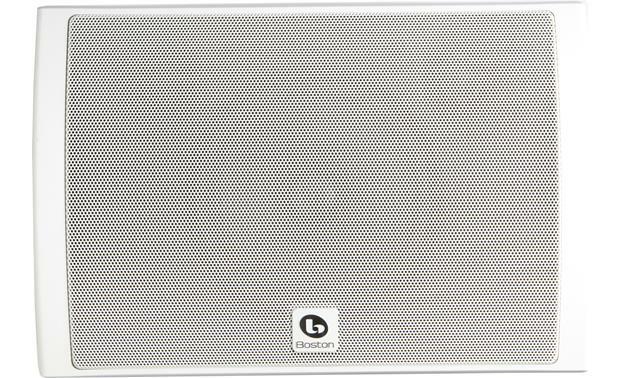 Specially voiced for open-air use, the speaker is able to project audio in a focused area and prevent sound diffusion. This makes the Voyager Metro II Speaker an ideal sound solution for less-than-optimal acoustic environments - mount them outside of your house, on a deck, or even on a boat. 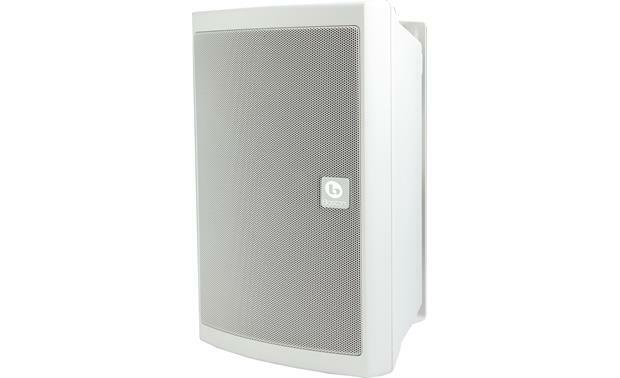 The speaker is also versatile enough to use indoors. Boston Acoustic Driver Technology: The Voyager Metro II Speaker has been engineered with Boston's best audio technologies to ensure stunning audio reproduction across a wide range of frequencies, and is specially voiced for open-air environments. Two 1" Kortec soft-dome tweeters offer crisp, high frequencies; while a dual voice-coil 6.5" graphite-injected copolymer woofer delivers powerful bass response. Together, the tweeters and woofer are able to reproduce frequencies ranging from 58Hz to 22KHz, ensuring faithful playback of your sound and music. Two 1" Kortec Soft-Dome Tweeters: The loudspeaker features two 1" Kortec soft-dome tweeters. Kortec is a silky fabric saturated on the underside with a proprietary stiffening agent to eliminate the high-frequency feedback that usually accompanies metal tweeters. Because the inside surface of the dome is ultra stiff, the tweeter tracks the signal with ease and produces an excellent transient attack. Simultaneously, the soft, self-dampening top layer eliminates unwanted resonance, so the sound is smooth and articulate. 6.5" Graphite-Injected Copolymer Woofer: The outdoor loudspeaker is equipped with a dual voice-coil6.5" graphite-injected, copolymer woofer for solid, more resonant bass. The Deep Channel Design woofers use a deeply grooved pole plate that enables the voice coil to travel farther for greater output without bottoming out. 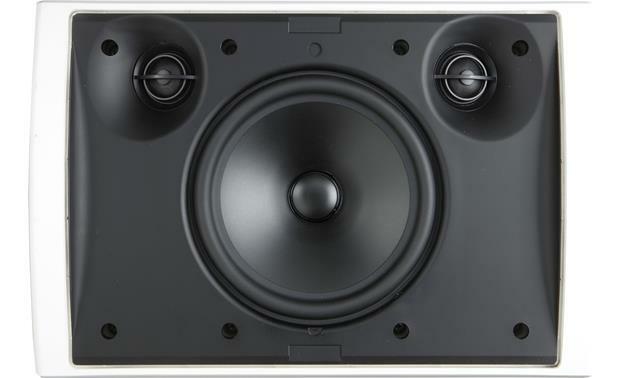 The woofer uses a butyl rubber surround for better. extension and greater durability. Stereo Inputs: This versatile outdoor speaker can be used to play stereo from a single location when there is not room for a pair of speakers. There are binding post inputs for both left and right channels. The two inputs feed the two separate tweeters and the woofer's two voice coils. The result is stereo sound in a location where you only want to mount one speaker. The two sets of gold-plated binding posts will accept bare wire (up to 12AWG), pin-connectors, spade-lugs, and banana plugs (single or dual). Note: Plastic caps in the ends of the binding posts will need to be removed before banana plugs can be used. Durable Waterproof Enclosure: Boston Acoustics built the Voyager Metro II Speaker to minimize exposure of its acoustic parts to weather and with materials proven to resist the elements. The speaker features durable, waterproof cabinets engineered to endure rough outdoor use. The cabinet is constructed from UV-resistant polypropylene and uses rustproof cables to ensure reliable connection and rustproof hardware to ensure worry-free mounting. In addition, a powder-coated aluminum grille helps keep internal components safe and dry. Note: The Voyager Series speaker is IPX4 and IPX5 Certified, protecting the speaker from water spray and powerful water jets. C-bracket which makes mounting the speaker outdoors easy. Its wedge shape design allows it to fit into tight spaces and makes corner mounting simple. Horizontal mounting is recommended, placing the tweeters on a horizontal plane to create the best stereo image (though the speaker can be mounted vertically if preferred or if its the only option). Mounted horizontally, you can tilt the speaker up or down almost 90°; while mounted vertically, you can swivel the speaker left or right 90° - letting you direct the sound to different areas as needed. Placement: Typically placement near a wall or other surface will increase bass output of the speaker. Corner placement will provide even more bass output. Placement under eves or on a wall near the ground will also increase bass output. Placement under the eves of a roof reduces exposure to constant direct sunlight and precipitation, which will extend the life of the speaker. In situations where you need to avoid disturbing your neighbors, you can install the speaker on a post or railing facing your house and listening area (the sound are will be more contained). 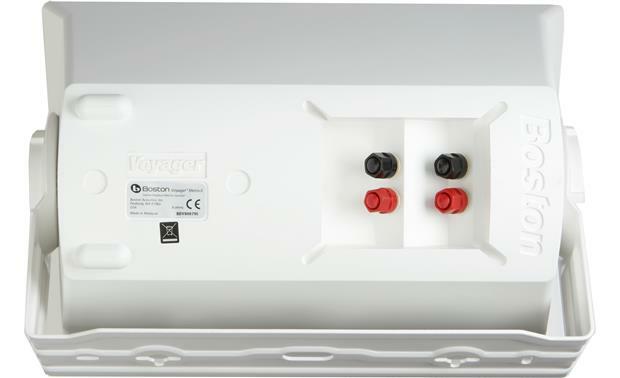 Voyager Series: Boston's Voyager Series was created as an all-purpose solution for indoor, outdoor, and marine speaker needs. Voyager speakers combine Boston's exceptional sound with heavy-duty construction, making them an ideal match for a variety of outdoor environments.